No matter what worries you may have on your brain, a day at the beach just takes them all away! I’m sure it’s because I grew up by the waves and sand, but that soothing ocean roar just relaxes me to my core. It’s like taking a deep breathe and exhaling all those worries right out! The Florida sun is powerful this time of year too- I mean watch out gentle skin a sunburn is coming! ha. 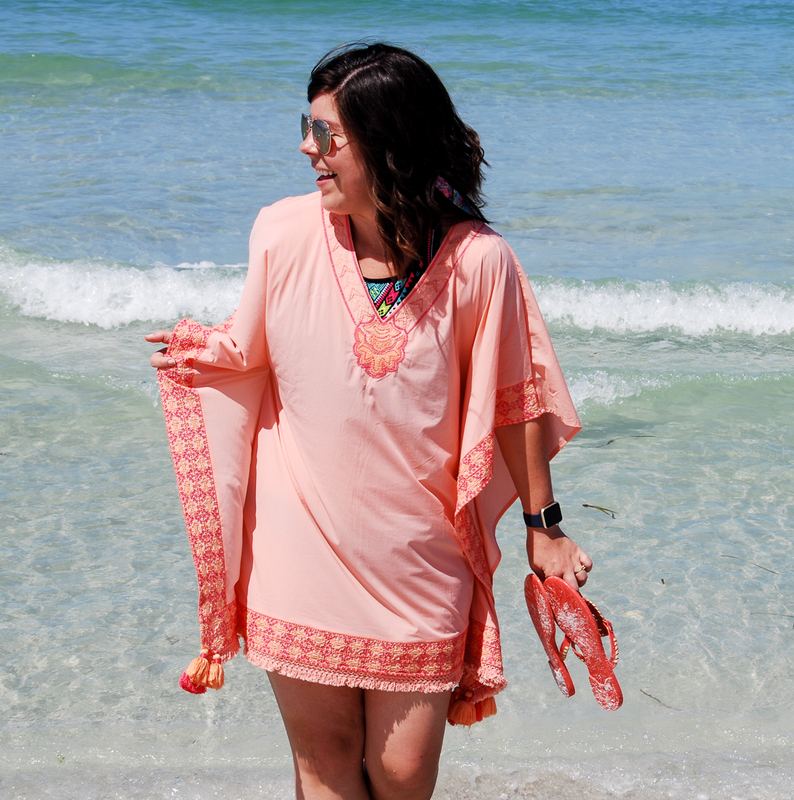 But seriously, us ladies have to protect ourselves from those powerful rays (and potential long-term damage like wrinkles & melanoma) so I love packing this festive Cabana life cover-up in my beach bag! Y’all know how much I love this company- not only are their pieces cute & on-trend, but they all have 50 SPF protection built in. I mean are my little tassel details not adorable? Where do you go when you’re clearing your brain? What’s your special spot? I’m headed off to Atlanta for the International Gifts Show tomorrow- I’m hoping to find some amazing new products for work. Fingers crossed! What a cute cover up Gentry! We are headed to Florida this weekend and now I am even more excited after seeing your beach pics! The tassels on the bottom of this are such a cute little addition! Wish I was relaxing on that beach today! Beach days are the best! Love that little beach dress. It looks fab on you. 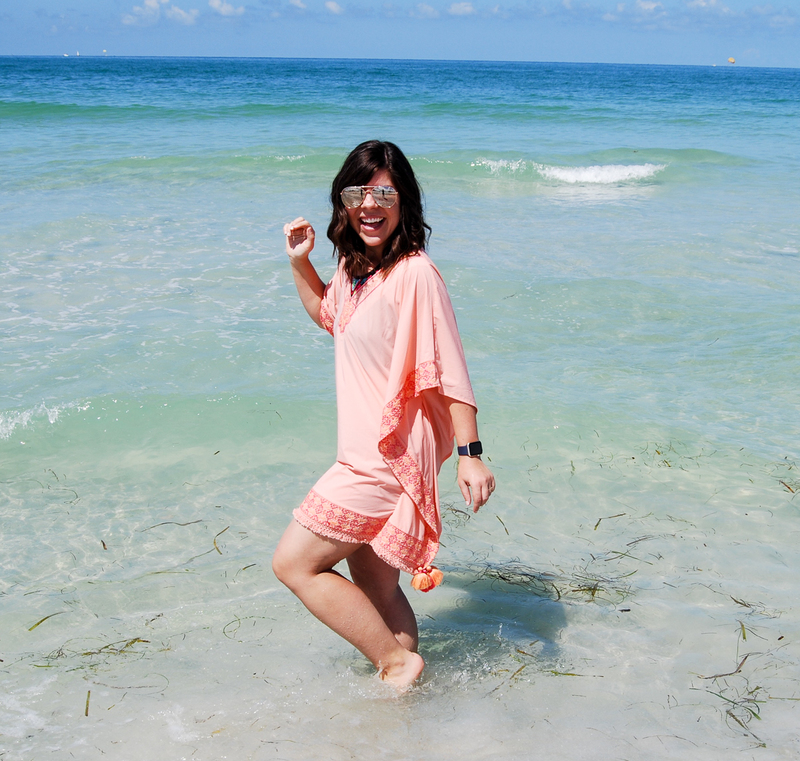 So jealous of that clear water – such a cute tassel dress! Enjoy Atlanta!! 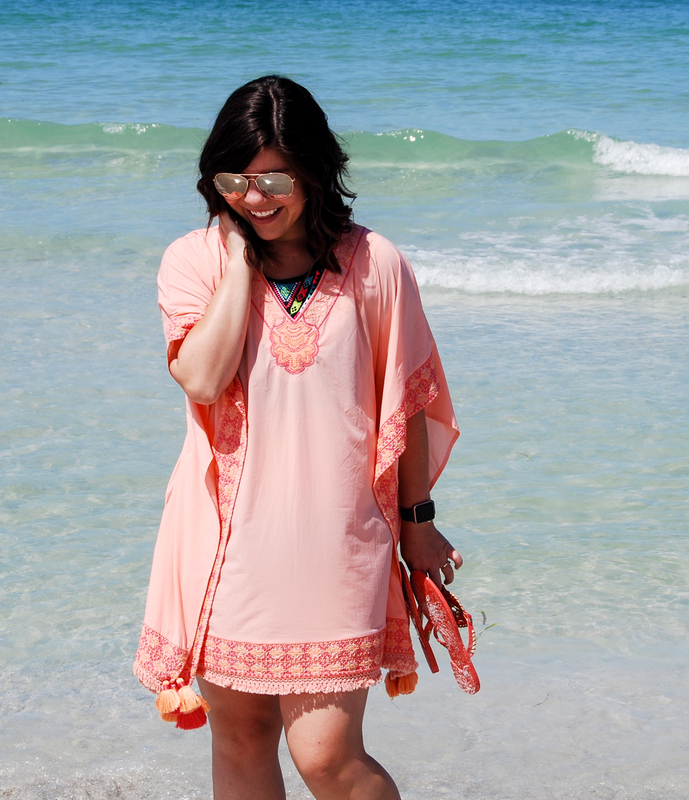 I love the coral color of this cover up!! Also love the SPF 50!!! My favorite place to clear my mind is the cottage in Canada with my family & dogs!!! So cute! 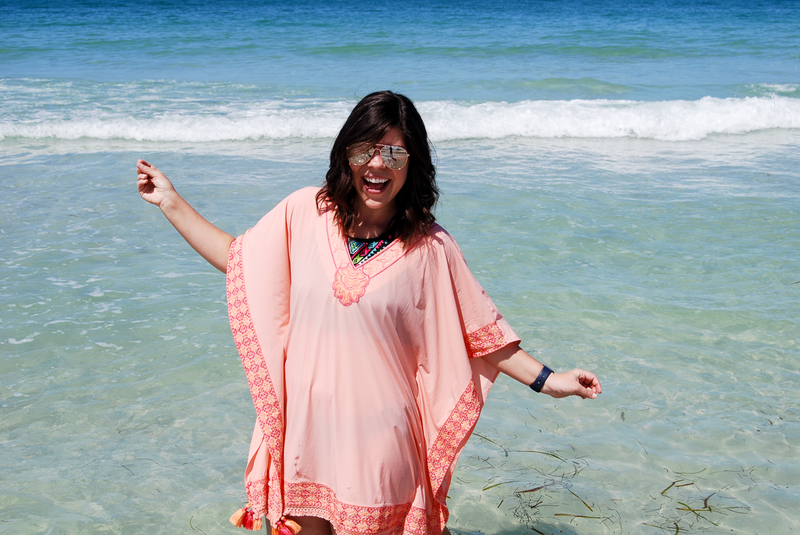 Tassels and SPF… that's a double win! Have a fun trip! You are so right, the beach is a cure all! Seriously my favorite place. 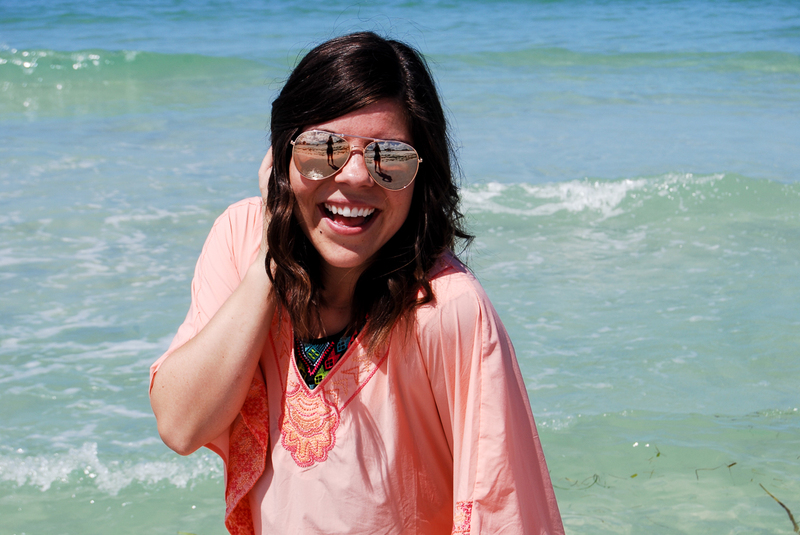 Obsessed with this cover-up, love the color! 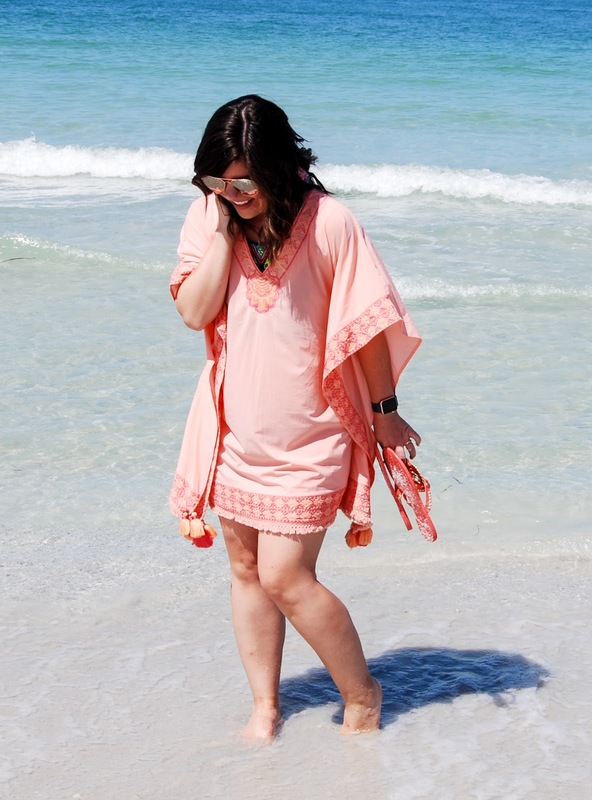 I just love the tassels on that coverup!! What a great beach addition! 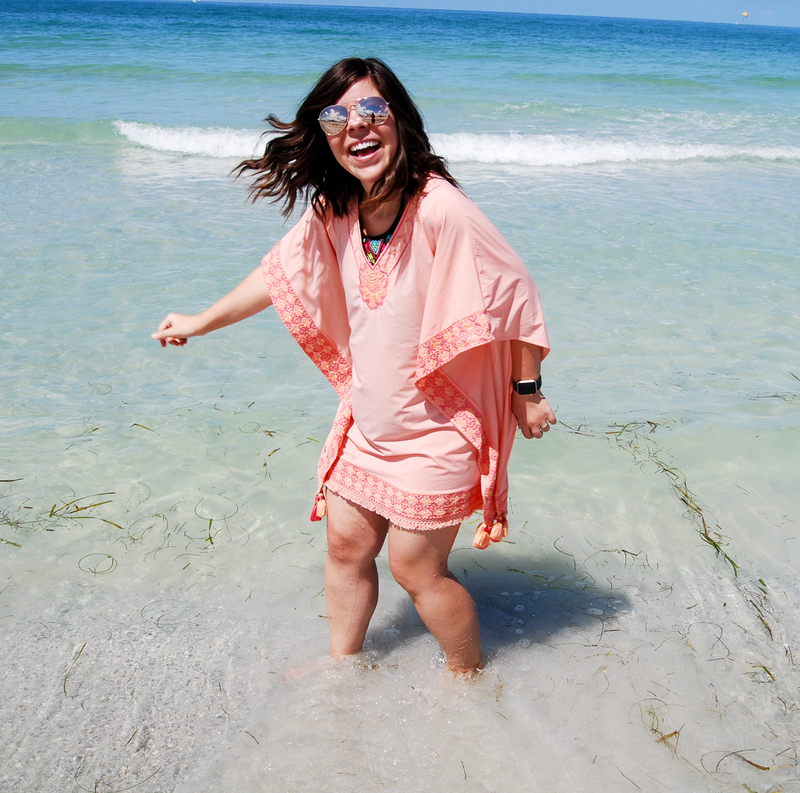 The beach is my happy place! So jealous you live near one :] Love this cover up girly.